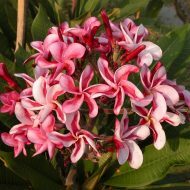 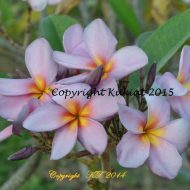 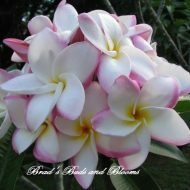 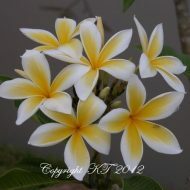 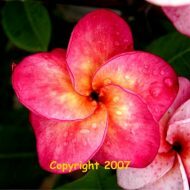 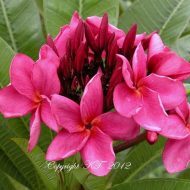 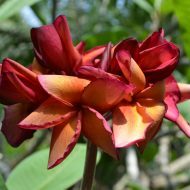 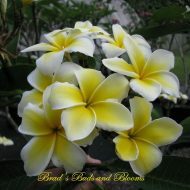 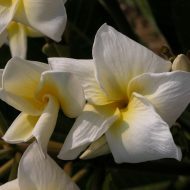 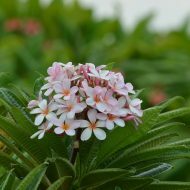 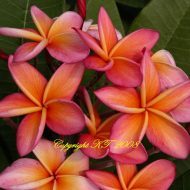 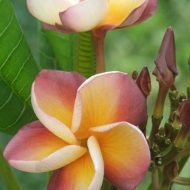 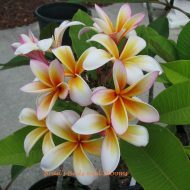 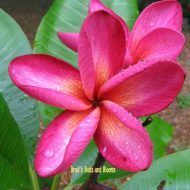 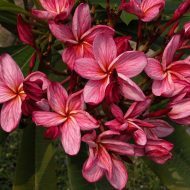 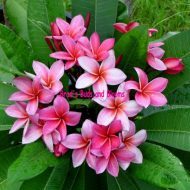 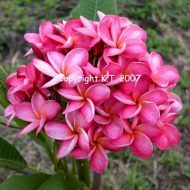 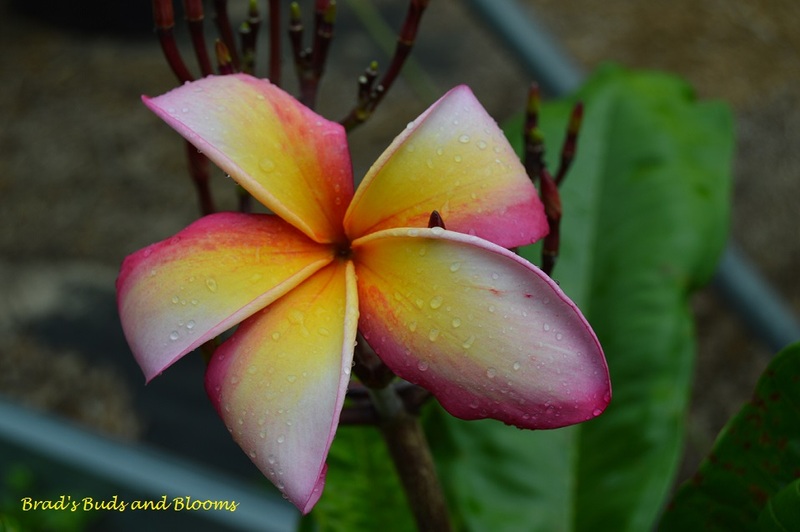 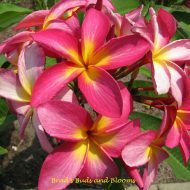 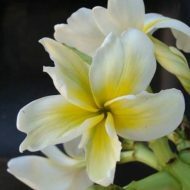 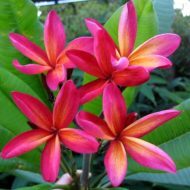 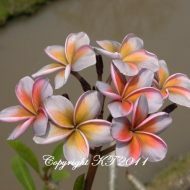 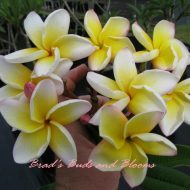 Leticia is a beautiful rainbow plumeria producing nice clusters of large blooms up to 5″. 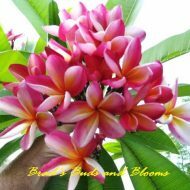 Very showy in full bloom and blossoms are sweetly fragrant. 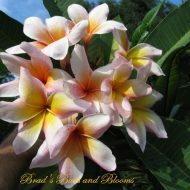 Rooted plants 12’14” from the soil line. 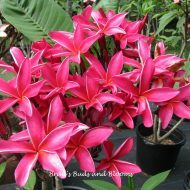 Gladys ‘K’ Brandt- BIG Vibrant Blooms!